An unused room can be turned into a spacious home theater, with plenty of comfy sofa seating and a big-screen TV or projector screen. Add a popcorn machine, mini-fridge and window shades to block the sun and create that theater atmosphere, and you’ll have a room your family and friends will flock to. If you love to read, set up an in-home library with plenty of bookshelves, comfortable seating and several different types of lighting – including surface, wall and overhead lights – to make it easy to read at any time of day. 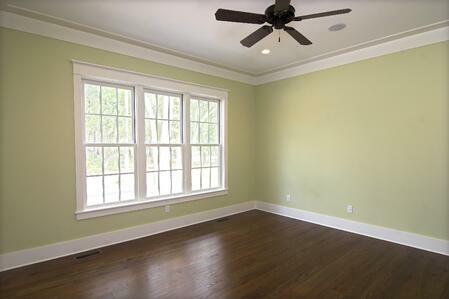 Create an entertainment space filled with board games, video game consoles, card games, and more. Hang a dart board on the wall and include a pool and/or ping pong table, as well as a table and chairs for board gaming. Who doesn’t love more closet space? You can turn a spare room into a walk-in closet and dressing area. Install custom cabinetry and poles for hangers, add a vanity and some task lighting to create a spacious place to store your clothes and get ready in. Whether you work from home or simply need a place to take care of bills and paperwork, having a separate, organized space is ideal. Invest in a desk, comfortable chair, and extra storage, and you’ll have a clutter-free, quiet space to work. Crafts can cause a lot of clutter, and it’s difficult to move your projects and supplies from one room to another. Add a large table and wall shelving to a spare room, and you’ll be able to keep your supplies organized and out of the way until you’re ready to work on your project.